Join us for a private screening of Star Trek Beyond! 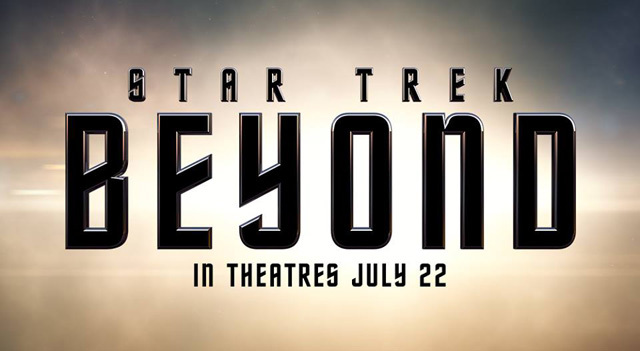 Home › Current News and Events › Join us for a private screening of Star Trek Beyond! You’re invited to a movie premiere event! Join us for a private screening, and get ready! Be our guest at the World Premier of Star Trek Beyond, and we’ll show you how to take your network beyond the limitations of MPLS, and beyond the “availability gap” that slows today’s Always-On business world. That’s right. A private screening at the premier of Star Trek Beyond. Join us on July 22nd, and be one of the first to take what promises to be a memorable journey, along with our partners at Silver Peak and Veeam. MPLS made sense when applications were only hosted in the data center. But most applications have moved into the cloud, and companies want to operate at “cloud speed.” So MPLS is no longer sufficient to address today’s WAN requirements. …use the Internet to augment MPLS, and cut costs as much as 90%? …switch carriers, mix and match, or even replace MPLS with broadband? …simplify branch connectivity and deploy a branch in minutes, not months? …satisfy users with consistent and reliable private-line-like performance? Now you can! Silver Peak’s Unity EdgeConnect creates a software-defined WAN that empowers you to move toward broadband WAN at your own pace, whether site-by-site, or through a hybrid approach that leverages both MPLS and high-speed Internet. You emerge with the flexibility you need to securely connect users to applications via the most cost-effective connectivity available. Businesses are modernizing their data centers with virtualization, storage and cloud technologies to try and meet today’s business needs and lower costs — but it’s not working! Despite massive investments, many companies struggle with data growth of 50% per year, while end users still can’t access data and applications 24/7. This opens a gap — an “Availability Gap”– between the requirements of the Always-On Business and IT’s ability to deliver on those requirements. What side of the Availability Gap are you on? Veeam’s Availability Suite combines the industry-leading backup, restore and replication capabilities of Veeam Backup & Replication with the advanced monitoring, reporting and capacity planning of Veeam ONE. Veeam Availability Suite delivers everything you need to reliably ensure and manage your VMware vSphere and Microsoft Hyper-V environments. For more than 30 years, SLPowers has delivered secure and stable computing environments to our clients so that their businesses could thrive. Today that means we provide cost-effective technology solutions that make companies more agile, flexible and productive by strategically aligning IT with business objectives. It means we build technology solutions for clients ranging in size from 20 to more than 20,000 users, specializing in storage, security, cloud, mobility, and virtualization. It means we manage both on-premise and cloud-based networks, thus providing our clients a seamless IT experience. And it means we put the security of your information at the heart of everything we do. We won’t say we boldly go where no IT provider has gone before. But we will say that working with us is unlike any IT experience you’ve ever had. And it can start aboard the U.S.S. Enterprise. Space is extremely limited, but you can get beyond that if you register today. ‹ Good Eats For Great Engineers!